WRESTLING originated in ancient Greece. It was used to train soldiers and as everyday exercise. It is the oldest recorded competitive sport in world history, and today there are more than 1,000 different styles of wrestling. Unique local forms of wrestling are found in various countries throughout the world. The Greeks depicted wrestling on coins, pottery, and statuary. Most of the colonnade of the Palestra at Olympia–which still stands today–is a testimony to the site of the wrestling competition in the ancient Olympic Games. Wrestling was one of the first competitive sports that the ancient Greeks included in the Olympics in 708 B.C., according to the FILA International Wrestling Hall of Fame. Prior to 704 B.C., the Greeks competed in wrestling only as part of the pentathlon that featured jumping, running, javelin and discuss throwing. The Greeks recognized wrestling as an excellent way to develop physical and mental prowess. 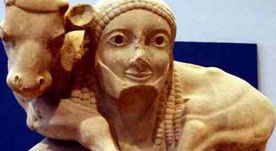 The origin of wrestling may pre-date ancient Greece. Cave drawings depicting wrestling date back to 3000 B.C. in the Sumero-Akkadian civilization and to 2400 B.C. in ancient Egypt. But the ancient Greeks began the competitive sport of wrestling as is recognized today. 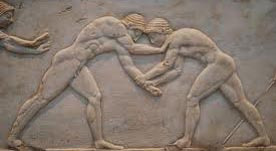 During the early years of the ancient Olympics in Greece, wrestling was the very last game that competitors played in the Games because the sport was considered the ultimate challenge and the game's climax. The greatest of the Olympic wrestlers of classical Greece was Milo of Croton, who never lost a match until the end of his career. He was also a general, a civic leader, wealthy, and a close associate of the philosophermathematician, Pythagoras. Fame and wealth followed Milo's success in the arena. By all accounts, Milo was very big and extremely strong - and apparently knew how to please a crowd. Legend has it that he once carried an ox through spectators at Olympia. Some modern athletic coaches consider Milo the father of resistance training, the process of lifting heavier and heavier weights to build strength. This stems from another legend: As a youth, Milo carried a newborn ox on his shoulders. As Milo grew, the ox grew; the load got heavier and Milo became stronger. In addition to the Greeks, wrestling was extremely popular among ancient Romans. But the Romans adopted a wrestling style that was less brutal than the Greeks' style. Amateur wrestling continued throughout the middle ages in England, France and Japan. European settlers in America practiced wrestling, as did Native Americans. The first national championships for wrestling in the United States were held in 1888, and continued through the early 1900s. The most popular wrestling style of that time was Greco-Roman wrestling, which allows holds only to the upper body. 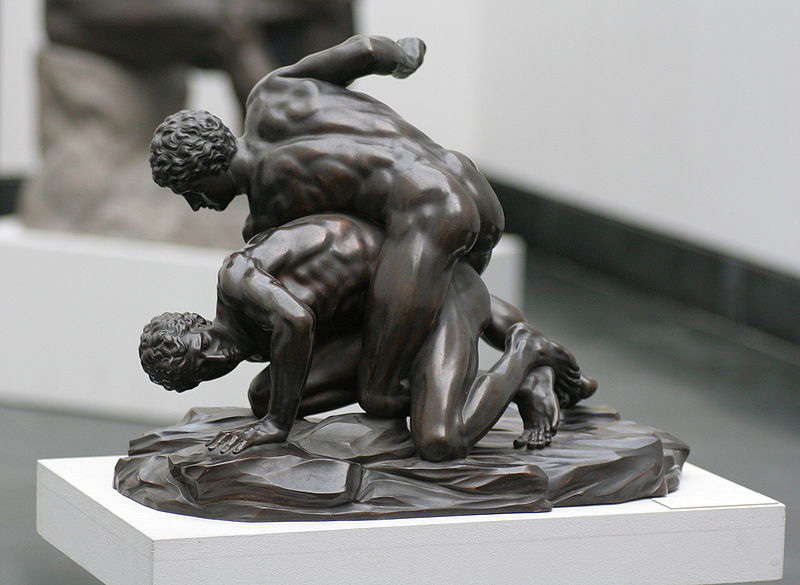 The name Greco-Roman was applied to this style of wrestling as a way of asserting it to be similar to the wrestling formerly found in the ancient civilizations around the Mediterranean Sea. Other styles varied by nation, with Iceland's Glima wrestling, Britain's Cumberland wrestling and Switzerland's Schwingen wrestling style. 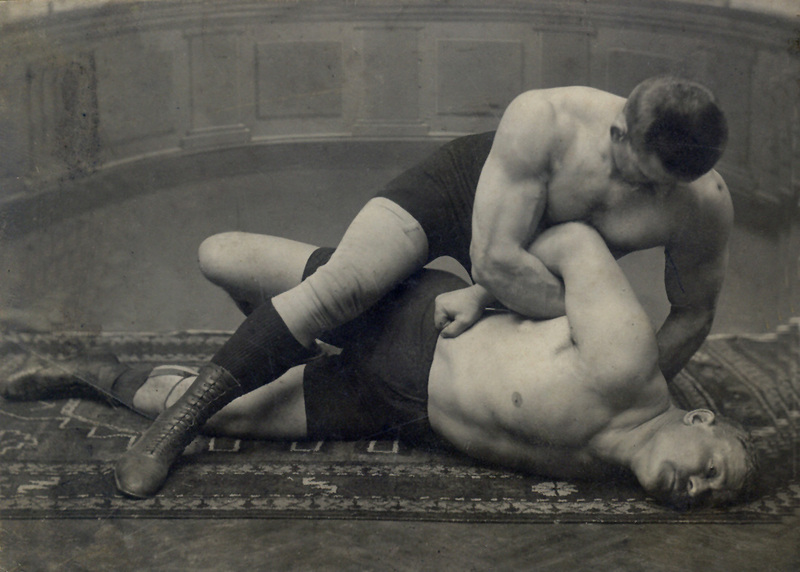 The key rules were established in France, where wrestling at that time was especially popular in rural and urban areas. Because of great interest caused by wrestlers' competitions, athletes started acting in traveling circuses, summer gardens, places for promenade and entertainment. Beginning in France, the world championships were organized. In 1848 in Paris appeared stages, on which professional fighters acted. Wrestlers from other countries –Germany, Italy, Turkey, Russia, etc. –began to come to France to take part in these championships and to get acquainted with its organization and the rules of competition. Subsequently, they started to organize this type of competition in their own countries. The first modern Olympic Games in 1896 featured wrestling as a sport, and since 1920, wrestling has been part of the Olympics using the freestyle and Greco-Roman wrestling styles, as stated by the FILA International Wrestling Hall of Fame. Freestyle wrestling increased in popularity throughout the 19th and 20th centuries, both as entertainment and as a competitive sport. Unlike Greco- Roman wrestling that limits holds to the upper body, freestyle wrestling allows opponents to use their legs and use holds below the waist.